Casiola Pest Control Treatment - Casiola: vacation home management you'll love! Snug as a Bug in a Rug… No! The strict quality assurance policy that is one of the hallmarks of Casiola has a zero tolerance for pests. For that reason, every vacation home under Casiola’s care gets pest control inspection and treatment on a regular basis. Contracted pest control experts inspect and treat the interior of your homes and condos twice a year. They also treat the exterior of your homes with private pools once every two months. This program is more than prevention; it comes with a warranty. If any pest issues arise between these treatments, the pest control company returns to “squash” the problem without any additional charges. Why is pest control inspection and treatment so important? Few experiences ruin a vacation faster than finding creepy-crawlies in your vacation home or around the private pool. If this happens, a poor review is almost sure to happen. Guests may even ask to be relocated if the situation is bad enough. Regular treatments will create a barrier around your home that will minimize this risk. The inspections with the treatments will likely find any unwelcome “tag-alongs” that stay behind when the paying guests have checked out. This isn’t just a motto for real estate; it’s for bugs and unwanted critters too. In our hot and humid Florida weather, pests thrive with no hard freezes to keep them in check. The question is not if you will have bugs and the like without pest control but when. Because you are hiring professional pest control technicians, they can assess the needs of your property and develop a plan of action specific to your needs. Having regular inspection and treatment for pests does more than prevent costly spraying for a later infestation. It also reassures you that guests will find no unwanted companions in their vacation home. One bad review concerning insects or other undesirables can cost you hundreds of vacationers. Insects and rodents can leave behind illness-causing droppings and germs that no one wants to think about. Also, do-it-yourself exterminating will often overuse chemical remedies. Professionals can prevent problems while not creating additional ones with their treatments. 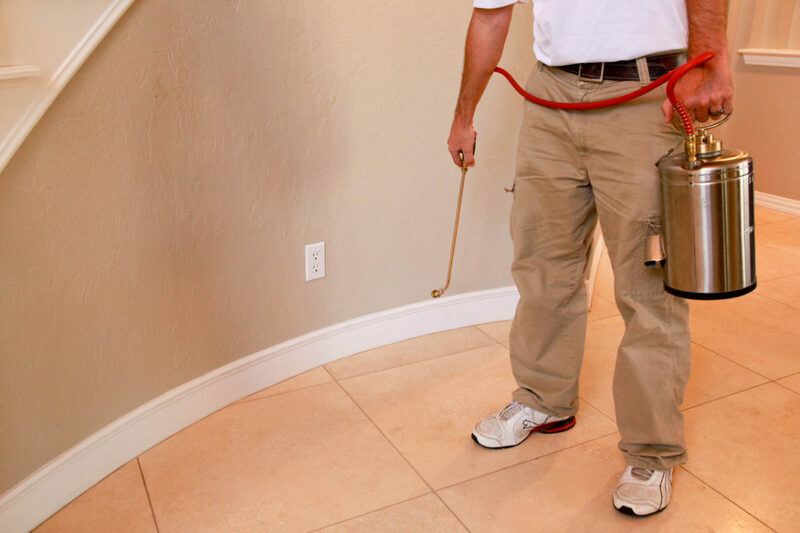 After an inspection and treatment, a good pest control company will follow-up with you about any problems they see. For example, standing water that you may not notice may attract mosquitos and other pests to your yard. How much does it cost and frequency? Please note: Bed bugs and termites are not covered under this program and any treatment for these will be charged separately.